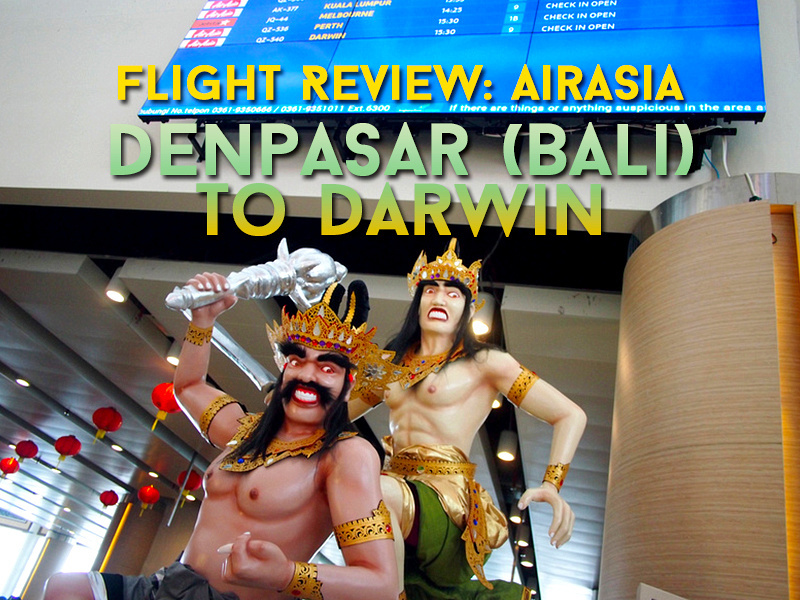 I flew with AirAsia from Bali to Darwin. I was looking for a flight from Bali to Melbourne and I found that I could cobble together an itinerary via Darwin for about the same price. I had never been to Darwin before so this seemed like a good way to go abut it. I compared flights with Skyscanner.com and found there were two direct flights; AirAsia and Jetstar. The Jetstar flight was during the night while the AirAsia flight left in the afternoon, so that was a more preferable time. Since I’ve taken my flight it appears that AirAsia now fly the flight at night as well. Darwin is closer to Bali than it is to Melbourne. Coming from the deep south of Australia it is easy to lose perspective of how close to Asia Australia really is. It make me wonder why Darwin isn’t more of a hub to Southeast Asia. This flight is operated by AirAsia Indonesia, which is branded under the same AirAsia brand that operates across Asia. I’m a regular flyer of AirAsia, having already flown with them earlier in the month. Most AirAsia flights to Australia are operated by AirAsiaX, which is also AirAsia, but in this case it is the flights using A330’s rather than the A320’s. Darwin is just below Indonesia so it is easily reached by A320 aircraft. The flight is only 2.40 hours, so Darwin is closer to Bali than it is to Melbourne (my next destination). I didn’t check in online so at the airport I used the check-in kiosks. When you use this you can’t pick your own seat, so I was relieved to get an aisle seat. 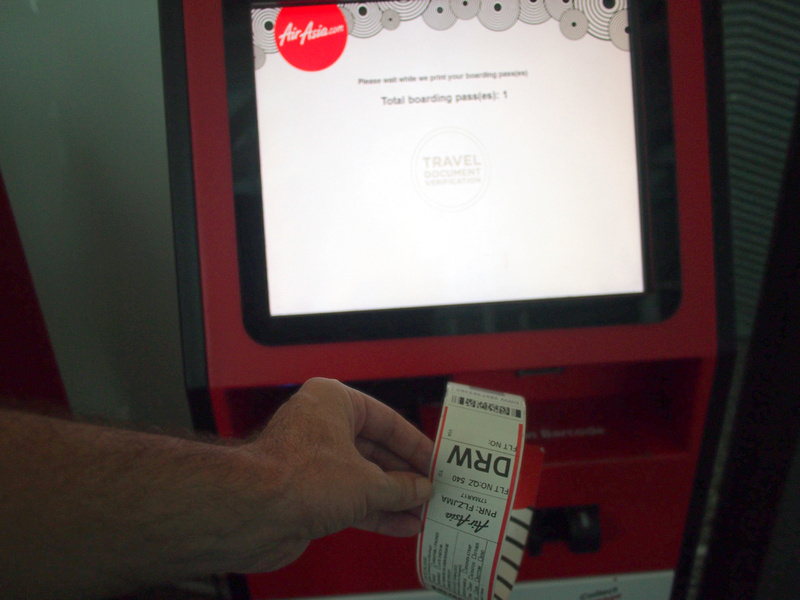 At the kiosk a bag tag is printed for you to attach before taking to the bag drop. 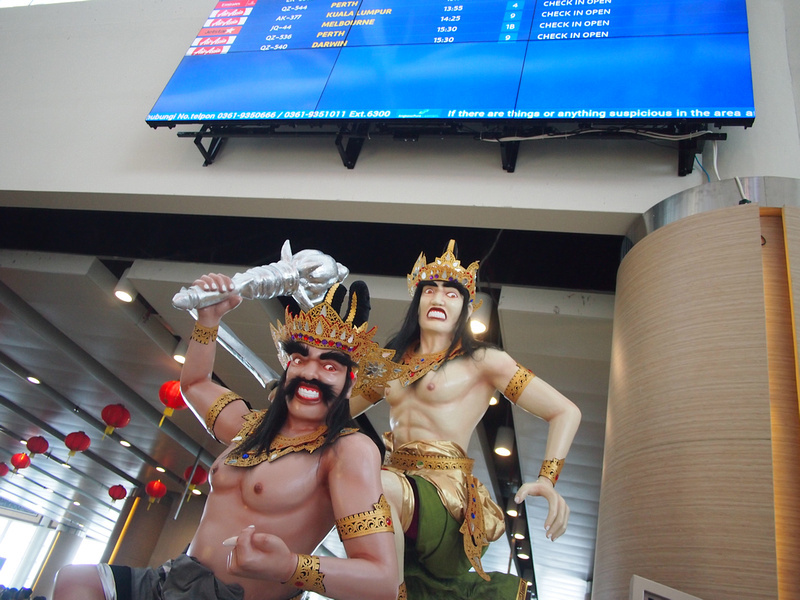 Bali Ngurah Rai International Airport is a beautiful airport but it must be the most expensive airport in Southeast Asia for food. I don’t recall Bangkok or Singapore being as expensive. 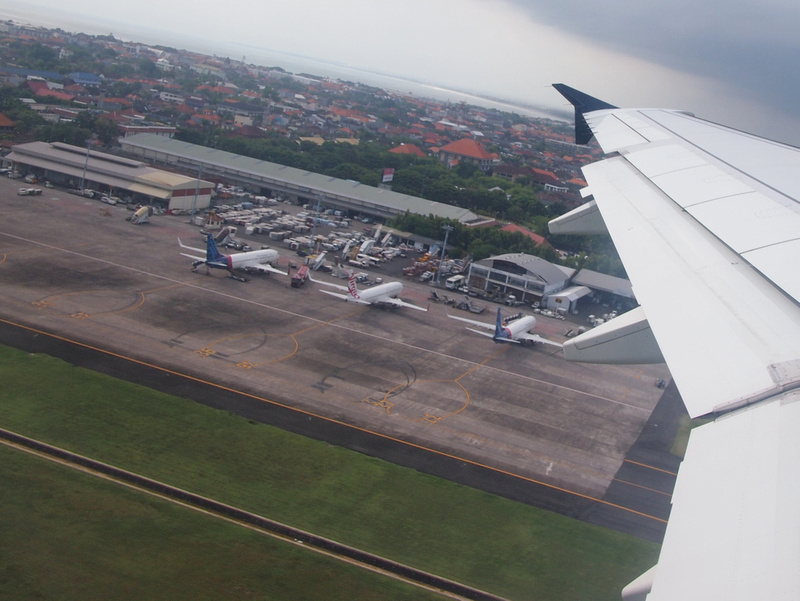 Security is abnormally strict for Australian flights from Bali as well. 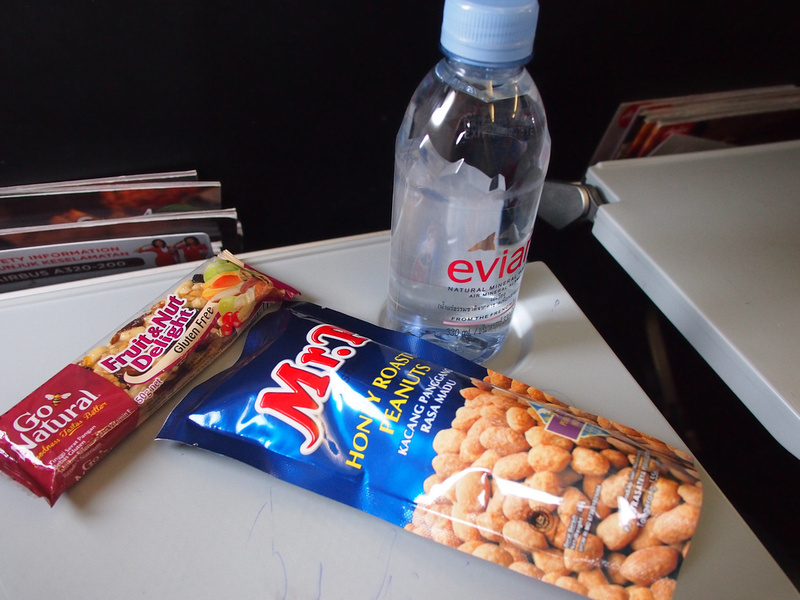 You are not allowed to bring any bottles of water onboard, which I don’t recall having to do that before. Todays flight was on an aircraft entirely covered with advertising, so you could not tell it was AirAsia when it arrived. If it means I am getting a cheap flight to Australia then they can paint whatever they want on there. The flight departed online with an expected flying time of 2.5 hours. 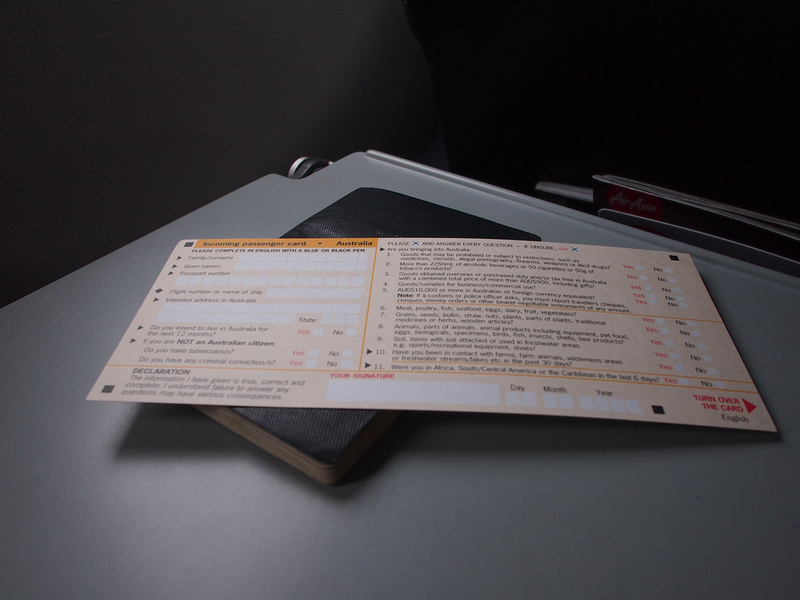 An Australian arrival card is issued onboard, which everyone must fill out. Passing the Gilis of Lombok. 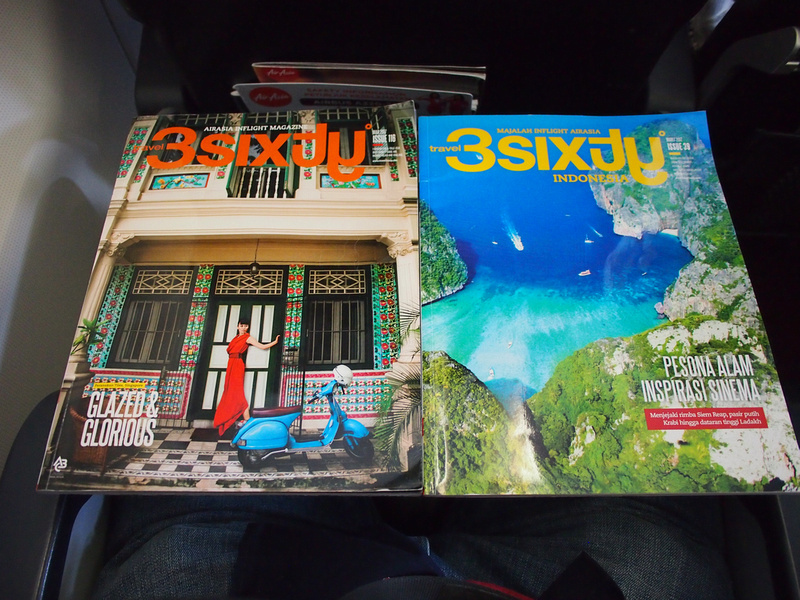 AirAsia Indonesia produce inflight magazines in English and Bahasa Indonesian. 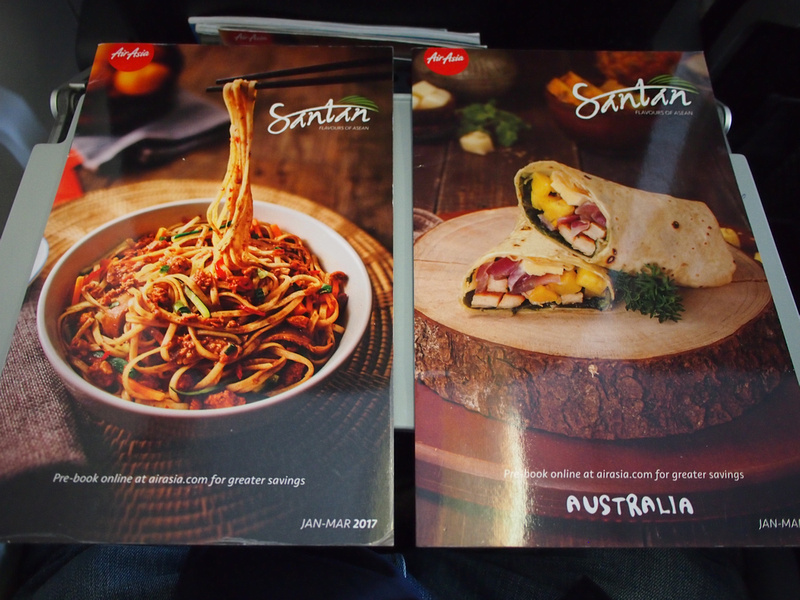 Separate menus are also onboard for Indonesian flights and flights to Australia. 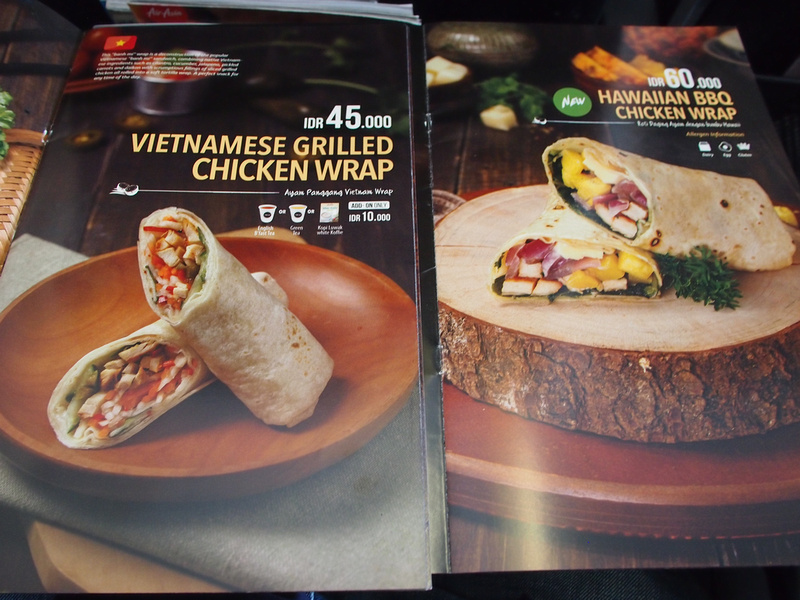 The menus are different but comparing similar items you can see there is a price difference between the two. Note that on flights to Australia it is not allowed to bring any liquid onboard, so drinks bought after security clearance still can’t be brought onboard. Sad to see that Australia is lumped in with the United States with such a stringent liquid ban. So if you are flying make sure you have enough cash for a drink. In the end I had 80,000 IDR left over, which was enough for a water and two snacks. Overall this was an easy flight to Darwin. I selected it purely for its time of day, as I did not fancy landing in Darwin at 5am to be making my way to a hotel. With flight now departing overnight it appears that this have been done to allow for connecting flights to the rest of Australia.